*CLOSED* My dog tried to eat an ant pile, so I have to sell my games. 3. Shipping is from 70506 and will be paid by the winner, and I will ship via USPS. I will require Delivery Confirmation on the package. This is to protect both you and I so we can guarantee both that the games have been sent, and that you received them. Local pick up is fine with me. 6. All transactions will be done via Paypal, but BGG will get its 3% commission. If you are doing local pickup, I can accept cash. 7. This particular auction will run until sometime in the evening of Nov 10th, 2013. I have a set end time for the listings, but I want to discourage sniping. This auction has nothing to do with my silly dog who actually ate an ant pile, I just wanted to share that with you all. Thanks for looking. 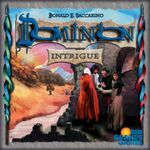 Dominion Intrigue - Starting bid $15. Played a few times, great condition. All cards sleeved. Elder Signs - Starting bid $12. Played a few times, great condition. All common/unique items, spells, ally and mythos cards sleeved with FF sleeves. All components in baggies. Insert modified. 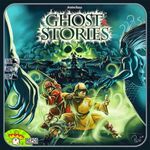 Ghost Stories - Starting bid $20. Played a few times, great condition. All cards sleeved. Nightfall - Starting bid $12 $10. Opened but never played. Immaculate condition. Thunderstone base game & Wrath of Elements - Starting bid $50 $35. Played a few times, great condition. Base game sleeved with penny Mayday sleeves. Items will ship in WOE box. Base set box not included. Base set manual does not fit in WOE box, but will be included. Hemloch - Starting bid $15 $12. This version of the game is currently out of print. Played a few times, great condition. All cards are sleeved. Omen: A Reign of War - Starting bid $35 $25. This version of the game is currently out of print. Played a few times, great condition. All cards are sleeved.